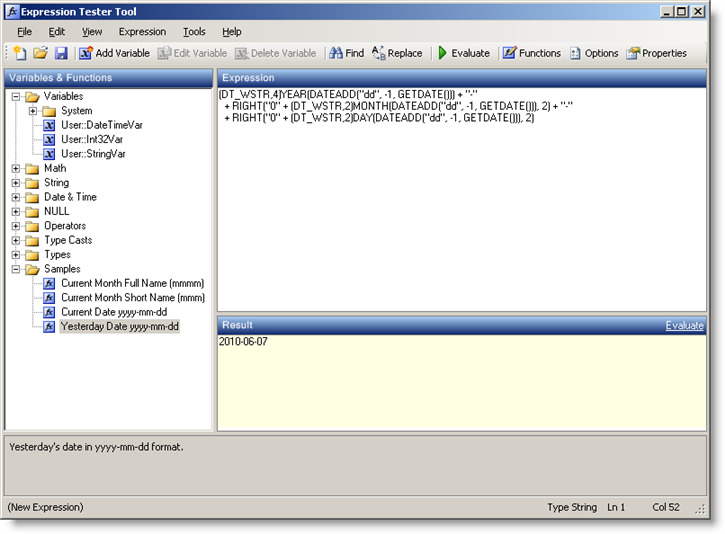 I stumbled upon a gem of a tool this morning, written by Darren Green (blog | twitter) of SQLBits & Bids Helper fame; the SSIS Expression Editor and Tester. Kudos to Darren, this is a great little tool for fine tuning and testing those complex SSIS expressions without having to keep running tests within SSIS. It’s downloadable with 3 versions, for SSIS 2005, 2008 & 2012, and doesn’t even need installing, it just runs as an exe.